Hocking Primary School students Daisy Brayshaw, Abigail Trim and Tia Delamotte. Picture: Bruce Hunt d462239 Quinns Rocks Primary School students with their decorated tree. 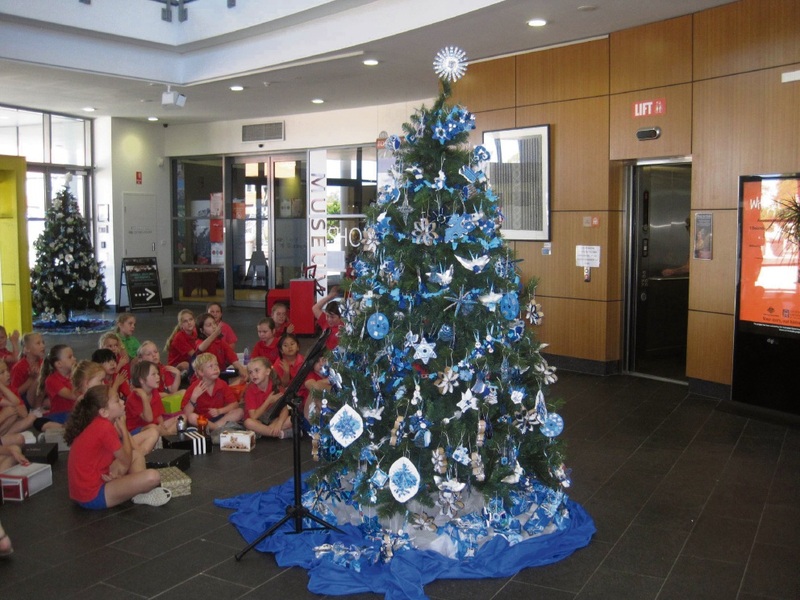 HOCKING Primary School students visited the Wanneroo Library and Cultural Centre last month to decorate a Christmas tree. 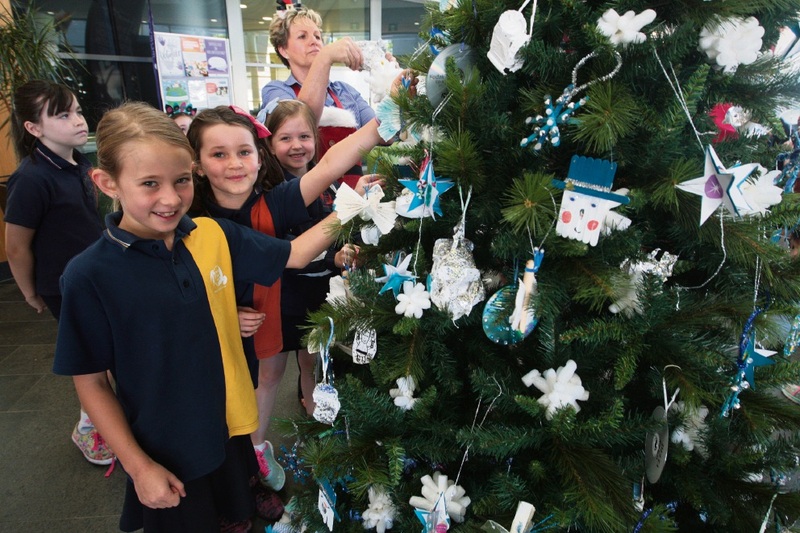 They were among students from five local schools involved in the City of Wanneroo’s annual ‘Festival of the Trees’ and made decorations from recycled materials for the tree. Mayor Tracey Roberts presented a prize to Quinns Rocks Primary School for the best decorated Christmas tree. The trees will be on display throughout December and other schools involved are Pearsall, Merriwa and Waddington in Koondoola. Students also participated in Christmas-themed workshops at Wanneroo Regional Museum.